Select Foodservice Marketing goal is to service our manufactures and customers beyond expectation. Our commitment to excellence will insure each principle credibility and integrity in the market!! We have a team-oriented approach to sales, pursuing leads and delivering the customer needs! 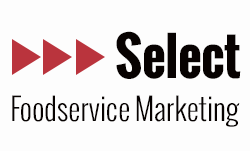 Select Foodservice Marketing was founded by Terry Blackaby in 2010. Terry has 40+ years in the food service industry. His career began with Sysco Nashville as Director of Merchandising and because of his abilities he was promoted to Sysco Corporate developing Sysco Brand in the meat department. Terry later moved back to Nashville and founded his own Foodservice Brokerage Company in 1989. Select Foodservice Marketing has grown because of philosophy of reinvestments. We are continuously reviewing all areas of our business, including our people, resources, technology and facilities. It’s our people who really perform, from our knowledgeable and thorough customer service staff, to our street-support sales team. They are the reason we have continually earned top sales awards from our packers since the inception of our company. When you work with us, you benefit from years of relationships built throughout the Midwest, relationships built upon performance, trust, and good faith.